Top 10 Mattresses For 2019 - Which? We reveal our pick of the best mattresses available to buy, based on the results of our impartial rigorous lab tests. With the quality of your sleep and the support of your spine at stake, do you really want to risk spending a fortune on an unsupportive mattress that won't stand the test of time? Well, fortunately you don't have to. 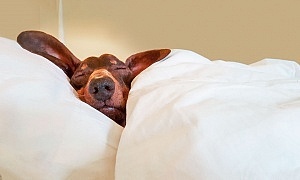 Our independent and rigorous lab tests have uncovered the best mattresses - and exposed the worst. 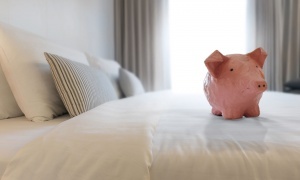 With more than £1,000 separating our cheapest Best Buy mattress from our most expensive Don't Buy, a good night's sleep might cost less than you expect. Whether you’re looking for a pocket sprung or memory foam mattress, you'll want to take a look at our recommendations below. We’ve picked out the highest- and lowest-scoring mattresses that are available to buy in 2018, so you can be sure of buying the best and avoiding the worst. If you’re looking for a foam bed, you can’t go far wrong with this reasonably-priced mattress. It didn’t do poorly in a single one of our tests - it’s supportive, breathable and suitable for light sleepers and it will stay that way for years to come. This mattress is a trendy, bed-in-a-box that’s only available online. But don’t let that put you off - there’s a 100-night trial period, during which you can send it back for a full refund if you don’t find it comfortable. 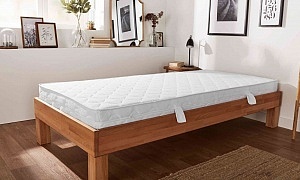 If you do like the feel of it, though, you can sleep safe in the knowledge that you’ve bought an exceptional mattress. It's supportive, won’t sag or soften with time and, unlike some foam mattresses, this one doesn’t restrict your movement at all. That's why it's the joint highest-scoring mattress we've tested. Although we tested it back in 2015, this is still the pocket sprung mattress to beat in 2018. It will support your spine regardless of your body size or sleeping position, and it’s particularly well-suited if you’re smaller than average and sleep on your back, or are larger than average and sleep on your side. Plus, this mattress aced our durability tests, so you can rely on it to remain supportive and retain its thickness. For our money, this is one of the best mattresses around at the moment. It’s just as long-lasting as the mattress above and, although that one is slightly more suitable for light or restless sleepers, this one offers slightly superior support for your spine and will continue to do so for years to come. It's rare that we test a poor mattress from this brand, and this one doesn't disappoint. It's supportive for both larger and smaller people when new and it doesn't sag, soften or become less supportive over time. 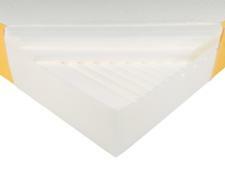 It's also suitable for restless sleepers, as it's very easy to roll over on. Doing so may disturb a light-sleeping partner, however, as it isn't the best at preventing the transfer of movement from one side of the bed to the other. This is the cheapest mattress on this list, but it still manages to combine foam, pocket springs and memory foam to excellent effect. It provides good all-round support, and is particularly good at supporting your spine when you’re sleeping on your back. Better yet, even after years of use, you’ll be getting the same quality of support without any signs of sagging. The only things to bear in mind are that it’s a little awkward to rotate and, unlike some of the other online-only mattresses on this list, it doesn’t come with a 100-night sleep trial. It's far from cheap, but this mattress combines pocket springs and memory foam to excellent effect. 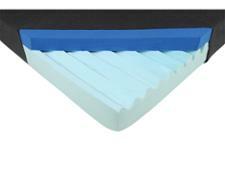 It provides good all-round support and the memory foam doesn't make it tricky to turn over on this mattress. You can count on this long-lasting mattress to still feel like new in years to come, too, so it could prove to be a good investment. It's not the cheapest, but this is the best pocket-sprung mattress with natural fillings we've seen in years. It didn't do badly in any of our tough tests and it's particularly impressive at supporting people sleeping on their back. It doesn't restrict your movement at all, either, which is great news if you like to switch sleeping positions several times during the night. One of the best things about this mattress is how stable it is. It absorbs impact exceptionally well, which is ideal if you’re a light sleeper and want to reduce your chances of being woken up when your partner rolls over or gets up in the night. And yet this mattress is also easy to turn over on, not to mention supportive and long-lasting. And if you’re in any doubt, there’s a 100-night sleep trial, during which you can make your own judgement and return it if you’re not happy. Not found the mattress for you? See all our Best Buy mattresses recommendations. Even if you find these mattresses fantastically comfortable when you try them in the shop, we would advise against adding them to your short list. Comfort doesn't guarantee support or durability, and all three mattresses have serious flaws in at least one of these areas. Despite coming from a well-respected brand, you should steer clear of this pricey mattress. It doesn’t offer good support for taller and heavier people, and that’s not even the biggest flaw. It failed our durability test, developing a severe tear halfway through. We recommend that you don’t buy it – that is, unless you want to risk spending more than £1,000 on a mattress that might not stand the test of time. This mattress has the word ‘ortho’ in the name, so it must be supportive, right? Well, not according to our rigorous body-support tests. They revealed that, regardless of whether you lie on your side or back, this mattress doesn’t do a great job at keeping your spine in the correct position. To make matters worse, it will also sag with time. 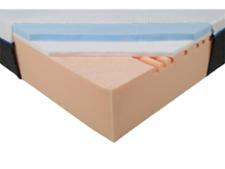 Pocket sprung mattresses with natural fillings can be very expensive, so this option is temptingly priced. But it’s not the bargain it might seem. Not only is this mattress unsupportive for most people, but it will also sag very noticeably after you’ve been using it a while, which is likely to make it less comfortable. Which? members can log in to view all our recommendations in the table above. Not only does no one else test mattresses like us, but we’re also totally independent, so you can have complete confidence in our results. If you tend to sleep on your back, a good mattress will keep your spine in the same shape as when you’re standing. So, we measure the shape of a person's body at 36 different points when standing, and then again when lying on their back on the mattresses, to see how well they compare. If you’re a side-sleeper, your spine should be parallel to the mattress, so we use a laser to measure the angle of a person's spine relative to the bed. After simulating several years of use by rolling a heavy barrel over the mattress thousands of times, we then repeat the body-support tests to see whether the mattress becomes less supportive over time. That’s not all. With our results, you can see how breathable a mattress is, how easy it is for you to turn over on and how stable it is. If you’re a light sleeper, you should try and buy a mattress with five stars for stability. These are the best at absorbing bounces, so you’ll be less likely to be disturbed when your partner rolls over or gets up in the night. If you’re not yet a Which? member and want access to all these results and more, join Which? now.